Do you want to train as a lifeguard? It’s a great way to keep fit, gain new skills and confidence and help your local community! Moseley Road Baths CIO can pay some or all of your training costs if you agree to work as a volunteer lifeguard at MRB. The CIO would particularly like to train some female lifeguards to help with women only sessions so that more local women can enjoy the benefits of swimming! Here is an important update from Karen Leach from the Moseley Road Baths Charitable Incorporated Organisation, who will be taking on the running of swimming facilities at the Baths from the start of April. There will be some changes to swimming timetables, lessons and prices, so do have a read and watch this space for further updates. As you know the MRB CIO is due to take over the pool soon, and you might be wondering how this is going to affect you and your regular swimming activities. We can’t answer every question yet but here are some initial tips! The new schedule is under development and will be here as soon as we can get it to you. Club and school times will be similar to now, and we’ll have some public swim sessions including women only. There may be a few days’ closure after our official handover date of 3rd April, while we set up our systems and train staff and volunteers. Again we will let you know as soon as we can! The price for a public swim remains the same. We will not be joining the council’s membership scheme, so if you have a direct debit set up with the council which you only use for your MRB swimming, then you may want to stop this and go back to paying per session on the day. We hope to develop a membership scheme soon. We will be running Be Active sessions, as now, which provide free swimming within certain times. We are not permitted to join the council’s Passport to Leisure scheme, which provides concessionary swimming. We’re really sorry about this, but it is important to us to keep swimming affordable for everyone, so we will work up our own concessionary system as soon as we can. Children’s swimming lessons will initially be provided through local swim school ‘Diamond’, who cost a bit more thanStrokes but have a very good reputation. As above, we hope to provide a more affordable solution for those on low incomes in the near future – sorry this is not happening straight away. We are about to start formally recruiting volunteers for reception, cleaning and lifeguarding – thanks to everyone who has shown interest and we look forward to working with you! If you’ve already given us your contact details we will be in touch very soon. Please let us have any feedback or queries! keepswimming@moseleyroadbaths.org.uk . We’re very busy preparing to operate but will reply as soon as we can. Finally – for those that are happy in pubs and like cake… the Old Moseley Arms will be holding a Cake Bake-off to raise funds for us, on 2nd March evening. Come along, have a slice ‘for donation’ and even make a cake to enter into the competition. Look forward to seeing you at the pool soon! Wondering what is happening with Moseley Road Baths’ future? There was a flurry of activity last Autumn when we raised a whopping great £26,000 towards the running costs of Moseley Road Baths when it is handed over to a community organisation to manage. Since then a lot of work has been happening behind the scenes. Hopefully this explains a bit more about what to expect this year! Moseley Road Baths were scheduled to close in Summer 2017. The Moseley Road Baths Action Group (‘MRBAG’ – a wider group that included the Friends of Moseley Road Baths) came together to look into other ideas for keeping the Baths open. This Action Group came up with a plan to run the Baths as a community venture, and after lots of discussions, the City Council agreed to let the Action Group have a go ! from 1st April 2018, Moseley Road Baths will be run as a Community run Baths. During 2016 and 2017 the Action Group worked hard in order to form themselves into an organisation that could take over the day-to-day running of the Baths, on a business-like but ‘not-for-profit’ basis. Then they applied for charity status, which was granted in December 2017. An important part of the Action Group’s work has been to develop an Alliance with other important organisations – Birmingham City Council, the National Trust, World Monuments Fund, Historic England and others – who have specialist knowledge of caring for Heritage buildings & conserving them for a useful future. The Action Group formed as a temporary grouping to secure a better future for the baths. The Friends group is part of this group. The Action Group has now formed Moseley Road Baths CIO which will operate MRB from April 2018. The Friends group will also continue to exist, focusing as we always have on involving the public, by holding events and activities such as Open Days, Heritage tours of the Baths and arts events. We will work closely with the CIO – we have many members in common. Meetings are held every two months in the Tea Room at the Baths. The next meeting is Thursday 12th April at 7pm. Remind your friends that the Baths are staying open and encourage them to swim here. You can help spread the word through Facebook, Twitter, Instagram or our newsletter. If interested in any of these roles please contact Karen Leach on keepswimming@moseleyroadbaths.org.uk or phone 0121 449 8348 and leave a message or ask to speak to Karen. Seeking a new chairperson or co-chair for the new charity – MRB CIO! Great news that as of 21st December we now have a registered charity, Moseley Road Baths CIO (charitable incorporated organisation) which will take on responsibility for running the baths. We are seeking a chairperson or co-chair for Moseley Road Baths CIO to take forward the community swimming venture as part of the future use and restoration of the whole building. As you’ll know, our group of dedicated volunteers has been working together for the last two years to make this a reality. As we approach handover, the time is right to find a new chair to take it to the next level of its development. We chose this picture to accompany our advert, because this venture is not about just an old building but about people, fun, and the continued ability of our families and neighbours to do what they love – keep swimming, stay active and learn about water safety at Moseley Road Baths. Read more about the chair opportunity here. Moseley Road Baths celebrated its 110th birthday this year and received £36,495 in gifts to keep the swimming pool open! £26,495 of this amount was via the Crowdfunder campaign which finished on Wednesday 6th December, and £10,000 was from Awards for All to train members of the local community as lifeguards. Moseley Road Baths had been identified for closure by Birmingham City Council, but a loud and vocal community campaign – with the support of national and international heritage organisations – led to a reprieve in the summer of 2017. Since this decision, the Moseley Road Baths Community Interest Company (MRB CIC) has been developing a workable model for swimming and hopes to be about to take over operational responsibility for water activity from April 2018. The money from Awards for All and the amazing support from the Crowdfunder will play a large part in this. There has been celebrity as well as community support throughout this campaign, which was launched by comedy character Barbara Nice. Joe Lycett, Adil Ray (Citizen Khan) and Annette Badland all contributed to and publicly supported the crowdfunder. Annette even appeared at the Baths for photographs and an appearance on Midlands Today! Benjamin Zephaniah tweeted his memories of the building and his support for our campaign. 345 people donated a total of £26,495- including £8,750 from Birmingham City Council’s Community Innovation Fund. Not including this match funding this is an average pledge of approximately £51. 39 people claimed a print as a reward and will receive either a photograph or watercolour of the Baths donated by local photographer Viv Harrison, and artist Jane Tavener (see attached). 65 people will receive our specially commissioned pin badge designed by local designer Kerry Leslie. Birmingham City Council continues to work with the group to support their plans to operate the baths as a community run pool, and also with other heritage partners such as Historic England, National Trust and World Monuments Fund to plan for the longer term renovation of this Grade II* listed building. Here are some of the Birmingham swimming memories you’ve shared with us. What has been amazing is how many generations have swum and still swim at Moseley Road Baths and the impact that some of our teachers (especially Mrs Yates!) had. “I learned to swim 65 years ago taught by Mr Eggison in the second class pool. It must have stuck as I still do swimming training with the Worcester Triathlon Club. Later as a pupil at Moseley Grammar school I went regularly to training sessions, again in the Second Class Pool on Friday after school. The school had its annual swimming gala in the main pool. You did it! Now for the final push! We are completely overwhelmed by the support of each and every one of you who has generously contributed to the Moseley Road Baths Crowdfunder! We hit our target of £13,552 with five days to go before our fundraiser comes to an end. However, not ones to rest on our laurels, we are pushing to see if we can bump it up to £17,500 by 3:44pm on Wednesday 22nd November. Can we stretch the target to help us meet more of the running costs for the first year? There’s the costs of general maintenance helping keeping everything in working order that needs to be met; we would also like to raise more funds to cover those ‘rainy days’ – those unexpected bills that just might happen. It’s a tough ask, but we know the passion of our supporters – and we also know that there are still so many people that we haven’t yet managed to reach. Can you help spread the word? Remember, we have until Wednesday afternoon to get all of the funds in – so if you have collected money offline you will need to add that too! Here are some dates for your diaries to make sure you don’t turn up at the pool only to find it closed! First up, there are staffing issues on Tuesday evenings, which mean that Tuesday evening sessions will be cancelled on the 14th November and 21st November. Hopefully this can be remedied if our Crowdfunder raises the funds to train up more lifeguards – if you haven’t yet contributed then please do! 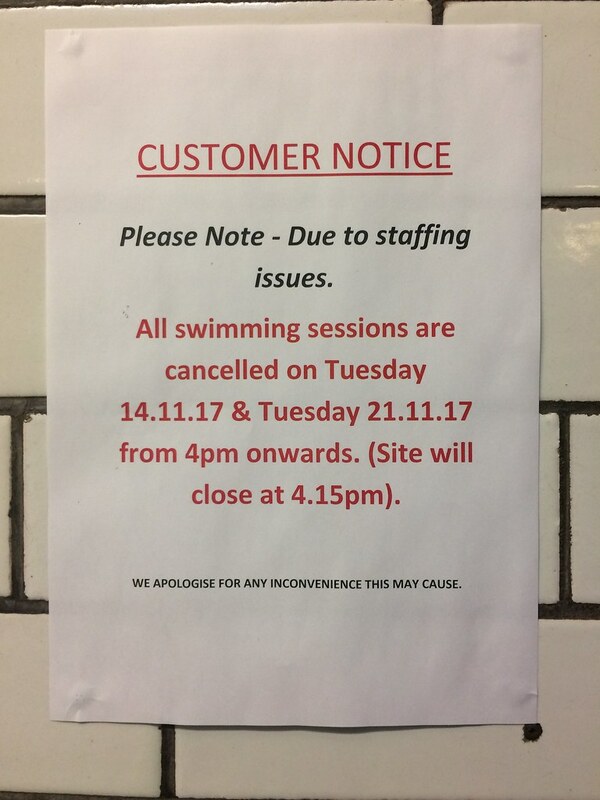 Then in December, those of you who were looking to get some swimming in over the festive period will be disappointed, but hopefully this closure will be worthwhile! The flooring is being replaced on the poolside, so the building will be closed whilst this work takes place. It will be closed from Monday 18th December through to Wednesday 3rd January when it is due to re-open at 3:30pm. We have been told that it will be open on the morning of Thursday 21st December (7am-1:30pm), but we do recommend ringing in advance on 0121 464 0150 to see if the water is up to temperature! One of the best things about campaigning for Moseley Road Baths is getting to hear so many memories about what a special place it is for so many people. We’ve had so many comments via the Crowdfunder, the petition, and via the National Trust mail-out that we’ve decided to compile a few of them for you to enjoy. 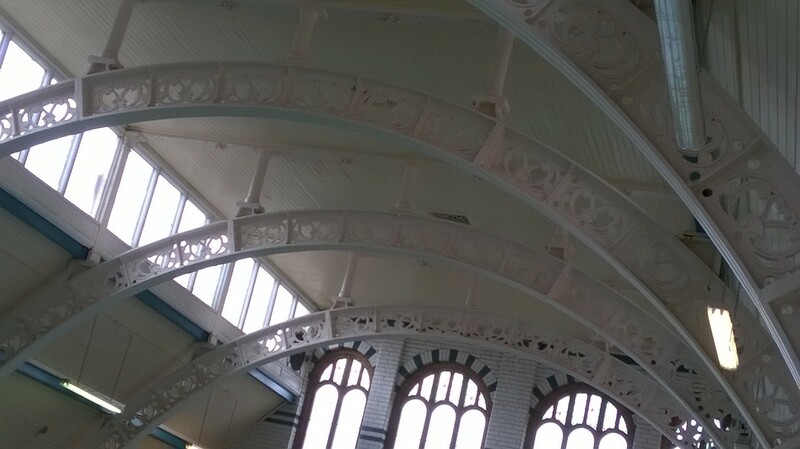 This post focusses on the building and why people support our campaign, look out for our next post which will focus on memories of swimming at Moseley Road Baths. Sometimes it seems like there’s not anyone in South Birmingham who didn’t learn to swim here! “I learned to swim and dive at the bath in the 50s. I lived on the Moseley Road when the sheep and cattle were driven down the road to the abattoir in Cheapside. I lived in a fruit shop next to the park and went to the nearby school. I think it was called Chandon Road. We use to walk to the baths…I am now seventy years old, so it’s been a long time ago since I swam there. I will come and have a swim one of the days for old times sake.